Arctic and boreal ecosystems are rapidly changing. An important research challenge is to develop a predictive understanding of how disturbance regimes, vegetation dynamics, and permafrost melt will influence ecosystem services, atmospheric composition, and the climate system. Veraverbeke, S.N., B.M. Rogers, M.L. Goulden, R. Jandt, C.E. Miller, E.B. Wiggins, and J.T. Randerson. 2017. Lightning as a major driver of recent large fire years in North American boreal forests. Nature Climate Change. 7(7): 529–534. doi:10.1038/nclimate3329. Flanner, M.G., C.S. Zender, J.T. Randerson, and P.J. Rasch. 2007. Present day climate forcing and response from black carbon in snow. Journal of Geophysical Research – Atmospheres. 112: D11202. doi: 10.1029/2006JD008003. Welp, L.R., J.T. Randerson, and H.P. Liu. 2007. The sensitivity of carbon fluxes to spring warming and summer drought depends on plant functional type in boreal forest ecosystems. Agricultural and Forest Meteorology. 147: 172–185. doi: 10.1016/j.agrformet.2007.07.010. Welp, L.R., J.T. Randerson, J.C. Finlay, Zimova, G.M., Davydova, A.I., Davydov, S.P., and S.A. Zimov. 2005. A high-resolution time series of oxygen isotopes from the Kolyma River: Implications for the seasonal dynamics of discharge and basin-scale water use. Geophysical Research Letters. 32: L14401. doi: 10.1029/2005GL022857. Smith, N.V., S.S. Saatchi, and J.T. Randerson. 2004. Trends in high northern latitude soil freeze and thaw cycles from 1988-2002. Journal of Geophysical Research – Atmospheres. 109: D12101. doi: 10.1029/2003JD004472. Randerson, J.T., C.B. Field, I.Y. Fung, and P.P. Tans. 1999. Increases in early season ecosystem uptake explain recent changes in the seasonal cycle of atmospheric CO2 at high northern latitudes. 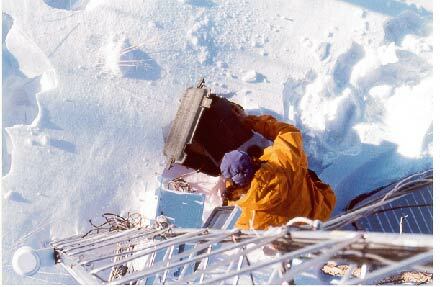 Geophysical Research Letters. 26: 2765-2768.